There are so many things that you can do for repairing of your car. Some of these things could be really easy while some other things could be very complicated and tricky for you. But if we talk about a work that is the most complicated task in any do it yourself car repairing work, then painting your vehicle can be the most daunting task. In most of the cases, you can find it almost impossible to do at your home. But thankfully there are some basic tips that can help you do spray painting on your vehicle like experts and you can get amazingly great result as well. Here I am sharing 11 tips to take note on vehicle spray painting for the optimum result in the best possible manner. 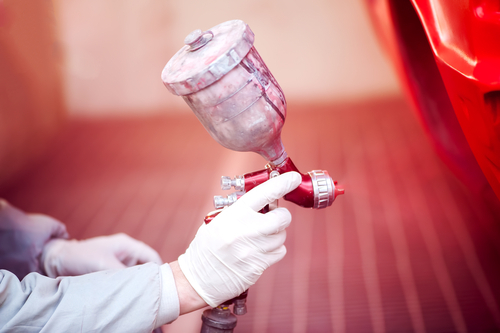 Do the preparation: Before you start doing any work for spray painting your vehicle, it is essential that you do the preparation for same. You get all kind of equipment’s, tools and toys to avoid any kind of troubles in the future. Talking about the material that you will need I can list that for you. You will need newspaper, some plastic sheets, sanders, painter tapes, spray gun, paint for spray painting, car wax, and safety goggles. These are the most basic things and you must need to do to finish the paint job for your car in the best possible manner. Clean the car: For spray painting, first you will have to clean it from all kind of dust, dirt and stain as well. If you will have stain on it, then your entire painting work will go to vein and it will neither give any good look to you not its paint will last for long. So, it is advised that you wash your car using pressure washer. If you have some rust on your vehicle that is scrapping out, then you should remove it properly using the water jet. 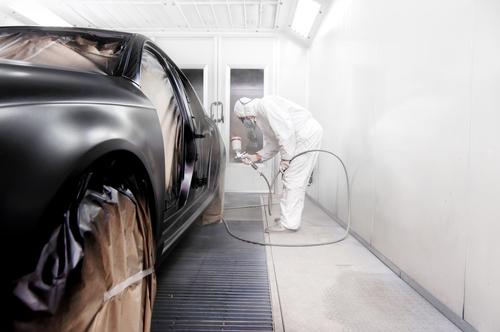 Do the sanding: For proper spray painting on your vehicle, first you will have to keep it clean and smooth. If you have any rust on it, then you shall remove the rust using this sander. Along with that, you should also remove the previous paint using this same method. This will not give any trouble to you, if you have a good sander. So, that is another important thing that you need to do for same. 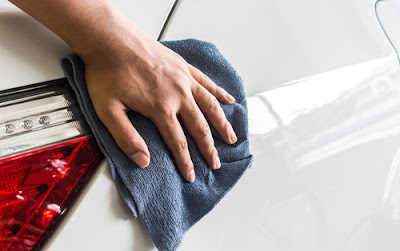 Fill the gaps: If you have a new car that is free from dust and you want to paint that new car again, then you will not need to do any filling for same. However, this is not the case if you are spray painting an old car. Every old vehicle can have some kind of holes in it due to rust and other environmental factors. To deal with this situation, it is advised that you use high quality body filler for same and you fill all the holes and gaps with it. That will help you get good quality result in your spray painting. Do block sanding: Block sanding is another step that you have to do to get smoothness on your paint surface. The block sanding tool will make the surface even and smooth after you use the body filler for same. For block sanding you can use a 180 grit sandpaper and eventually you can reduce the grits to have a smoother finish. You can check the result using your hand if you feel it is not smooth at any point then you can remove the same using girt paper. Remove parts: Ideally, you need to rip your car and you should paint each and every part of your vehicle in a separate manner. However, if you are planning to paint your car at your home, then this might not be the best or practical solution for you. In that situation, you should try to remove all the things that you can and you should cover all the other things that are hard to remove. For example, you can remove all the tyres as it will be easy and if you have some easy to remove grips on the edges, then you should remove that as well. Cover it: If you notice some part is non -removable easily then you should cover the parts with paper, plastic sheet and painters tape. That will help you do your spray painting work with more confidence. Talking about the parts that you may need to cover, then your headlight, handles, glasses are some of the things that you need to cover before spray painting your car. Apply primer: If you remove the paint from your car along with rust, and you can see the metal, then it is extremely important you apply primer before spray painting your car. When you apply the primer, then make sure you use only a good quality primer else it might reduce the quality of your pain work. Sand the primer: After applying primer, you have to lightly sand the primer to get smooth finish on it. If you will not sand it, then you might not get the smooth finish on it. So, if you are spray painting your car, make sure you do the sanding on it after the primer is dried before applying paint on the vehicle. Do the spray painting: After you are done with the finishing of your primer, then you must need to apply the spray painting on it properly. When you are done with one coat, then let it dry and once it is dried, then apply second coat on it. This second coat is extremely important and you should not miss that in any condition for better and smooth finish. Polish the car: This is the last thing that you need to do for your car spray painting. Once you are done with the painting work, then you need to polish the car with proper tools. There are various tools that can help you in this requirement. So, you can try that option and you can have good result with ease. Other than this, you can also polish it with other methods for good outcome.